Read the pages on the Nwain website to view the animations. In my spare time, I’ve been sewing dice bags. 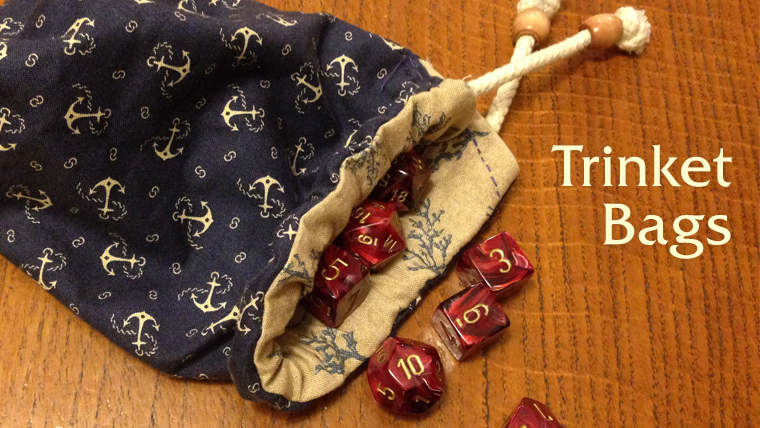 Originally, I only made them for my Dungeons & Dragons group, but they insisted it was hard to find bags like these. Apparently, there’s a market for cute bags with fun patterns. So I started making bags with the intent to sell. I sold enough bags at GeekGirlCon to buy a sewing machine, and that sped up production enormously. Now I have enough to sell online. Check out the goods in my Etsy shop, Trinket Bags! 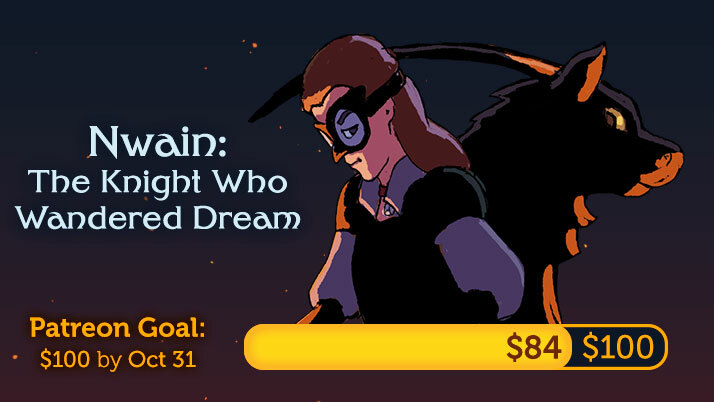 I put together these images to advertise my Patreon pledge drive for my animated comic, Nwain: The Knight Who Wandered Dream. Long info graphic for social media. 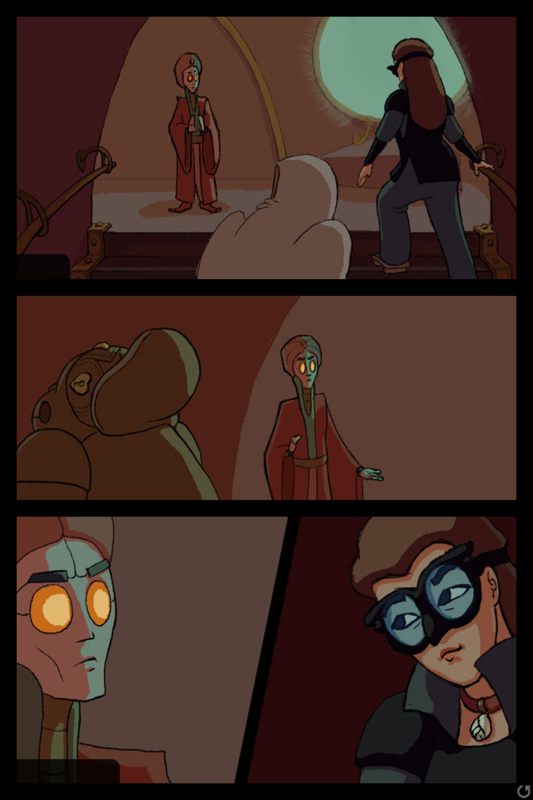 This page is an experiment in format, inspired by JRPGs and visual novels. 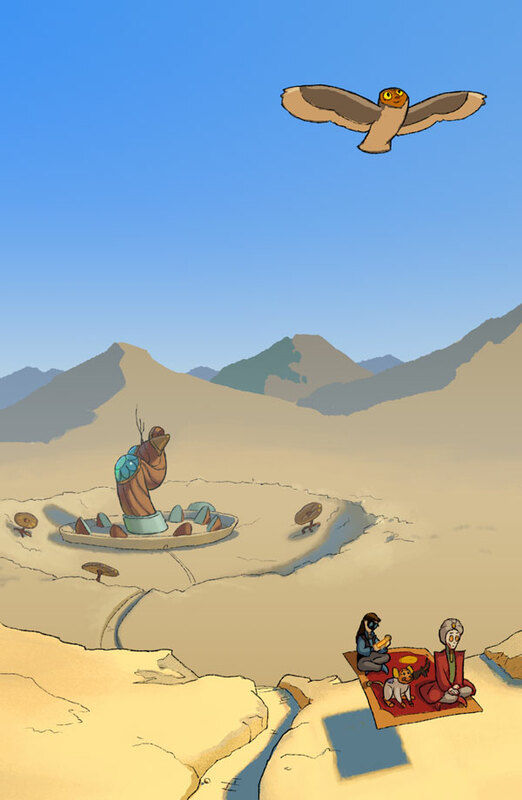 The two characters are close up, ‘hovering’ over the static background as they converse. Page 50 is not so technically fancy. However, I animated and built it 3 days, a new personal record. 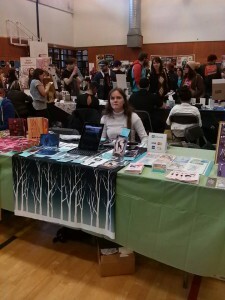 I’l be at GeekGirlCon in Seattle on October 10-11th! 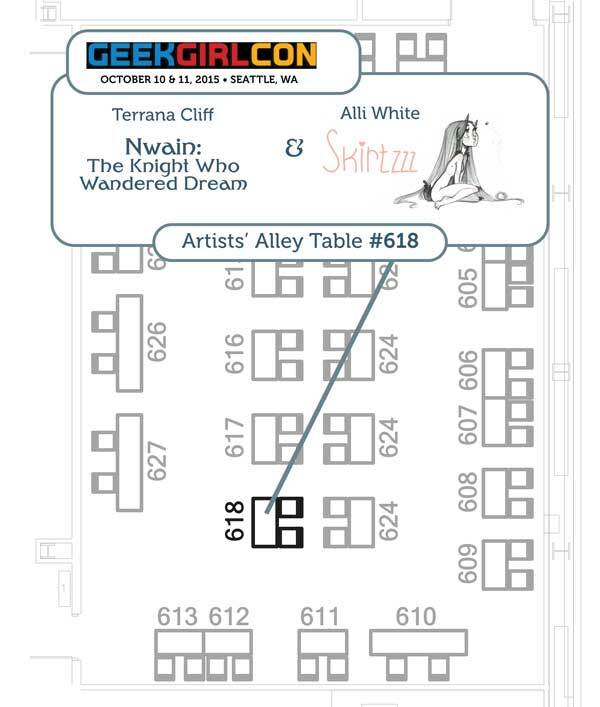 Come see me and Skirtzzz at artists’ alley table #618! 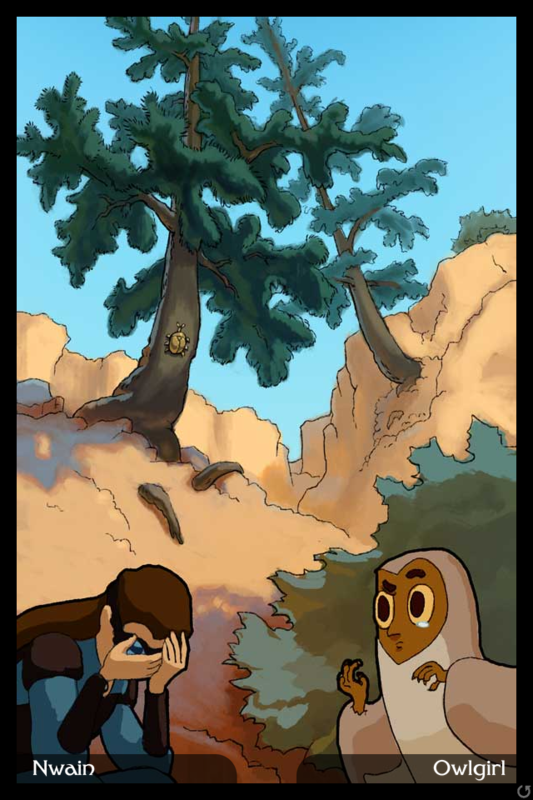 Pages 45 and 46 are up! 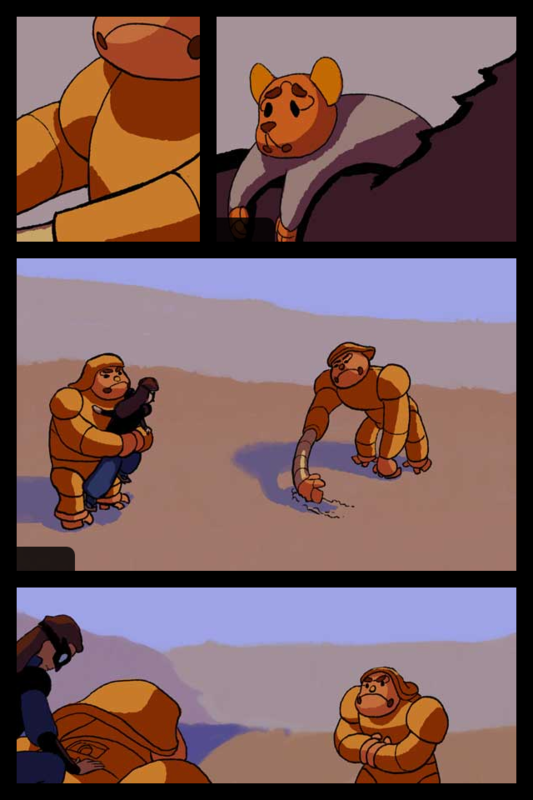 Go read my animated webcomic at Nwain.com! 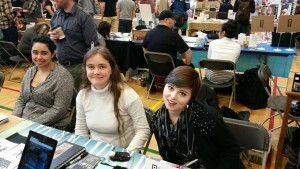 VanCAF – the Vancouver Comic Arts Festival – was great! People were so intrigued by my animated comic, that I ran out of Nwain business cards! * Also, I met up with fellow artists, some of whom I’ve been mutually following for years. The festival staff and volunteers were extremely welcoming and supportive. Overall a great experience! Next up is Olympia Comics Fest! I’ll be at the Cartoonists’ Expo, sharing a table with Joamette Gil and Zoey Hogan. *I have since ordered many, many more. The adventure continues! Read Nwain Page 39 and Page 40. 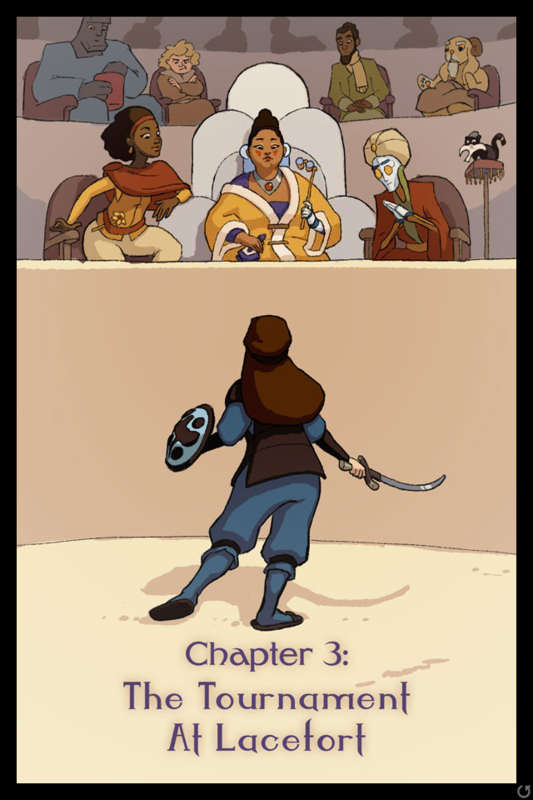 Nwain: The Knight Who Wandered Dream is my animated webcomic. 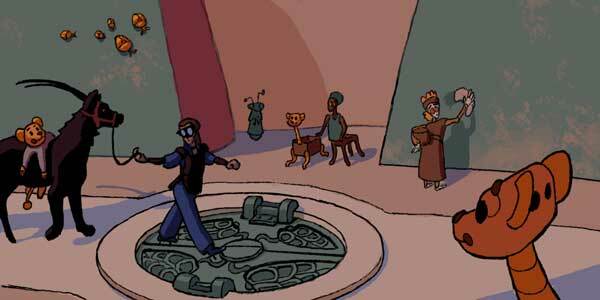 I write the story, design the visuals, develop the tech, and animate every panel. It’s an enormous undertaking, especially for one person to tackle alone. Thankfully, I have support from fans and patrons! I recently added new reward tiers to the patreon, at the $10, $20, and $50 levels.